Is there a better alternative to ByteDesigner? Is ByteDesigner really the best app in Developer Tools category? Will ByteDesigner work good on macOS 10.13.4? 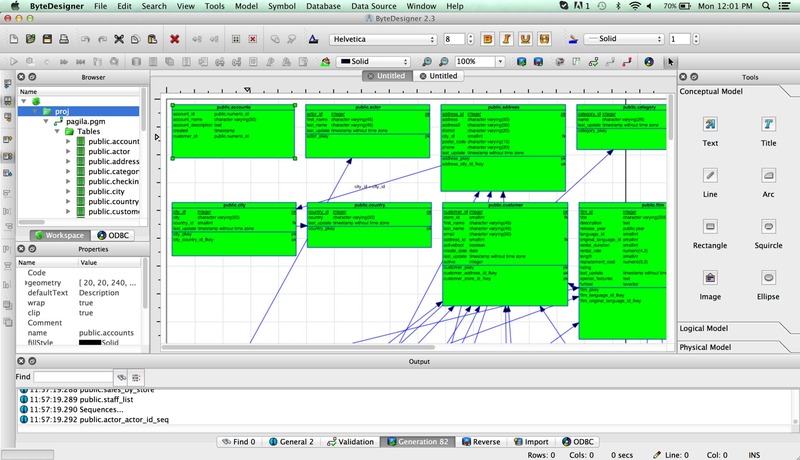 Byte Designer is the emerging enterprise tool for designing databases at all levels of an organization, using the same concepts found in tools costing thousands of dollars! It's a powerful database design tool--with an advanced SQL editor and support for all major RDBMS--which can design complex systems. Note: Although Finder indicates no version number for this application, the developer refers to it as version 2.3-151020. ByteDesigner needs a review. Be the first to review this app and get the discussion started!